It’s an era of long-established magazines going online-only, and online publishers ‘pivoting to video’, citing economic stresses. The printed word is under pressure from other forms of entertainment, but I believe our genre – outdoor and adventure – desperately needs to make headway in this fight. Here’s why. The close association between adventure and the printed word goes back to the roots of both. Early adventurers – explorers, navigators, sailors, mountaineers – often felt the need to justify their exploits with some ostensibly useful purpose, and early adventure writing reflected that. 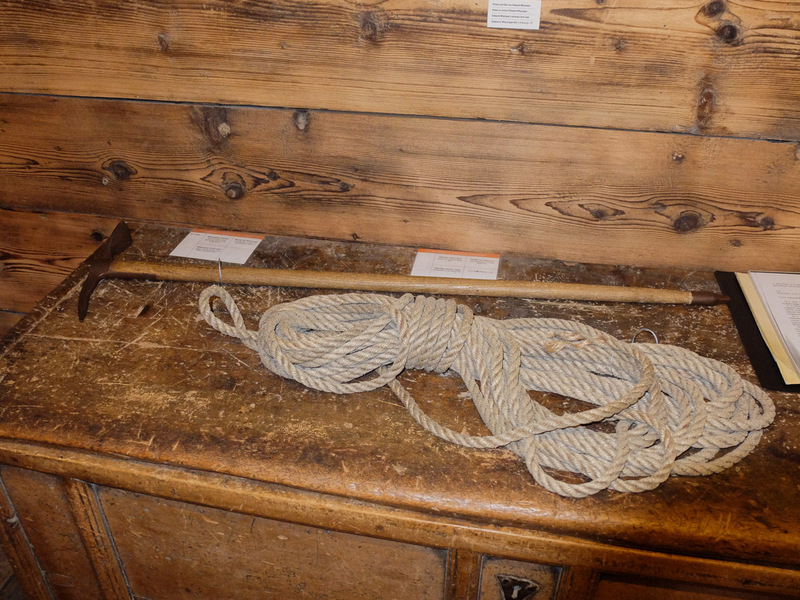 Mountaineers carried bulky scientific instruments to Alpine peaks and conducted experiments (often while getting thoroughly drunk). Their reports might look like scientific papers, but the enthusiasm for adventure itself became ever more thinly veiled. The same was often true for those who filled in the blank corners of the map, by sea or by land. While adventure as we understand it today gradually found its feet, adventure writing flourished. The 20th century was a golden age of travel and outdoor writing, and there’s no doubt that this body of work helped to fuel engagement in the outdoors. The relationship went both ways. As Western societies became more affluent and participation increased, more people wanted to read about these activities too. The 20th century saw the publication of immortal classics by writers such as H.W. Tilman, Nan Shepherd, W.H. Murray, Heinrich Harrer – to name but a few. Of course, this massive body of work couldn’t exist without the events they describe. And in exploration and adventure, as in most fields of human activity, the 20th was a heck of an eventful century. Many obvious ‘firsts’ – obvious enough to exert a magnetic pull on the general public – took place in a short space of time. But as participation increased, as mass-produced outdoor gear gradually became cheaper, lighter and better made, as travel became easier and within the reach of more people, the definition of adventure itself began to change. Mountaineering, climbing, sailing, skiing, backpacking all became safer, easier and more accessible. While few would call this a bad thing, it’s arguable that the modern age has made the job of outdoor and adventure writers more challenging. After all, peril makes for a good story, as does a very clear and highly ambitious objective, such as the first ascent of Everest or the first crossing of Antarctica. It’s obvious that the natural big targets would be depleted sooner or later. And, by and large, grand new challenges have supplanted then. The difficulty of climbing – say – Echo Wall is almost inconceivable. But therein lies a problem. I think we are living through a silver age of adventure. At the low end there is mass participation, while standards continue to improve at the high end – but the goals become less simple, more complex to define and understand. This would hardly pose a threat to outdoor writing. Not every article or book has to be about the cutting edge, and it’s arguable that some of the best work covers the ordinary and everyday. Nan Shepherd wasn’t scaling the North Face of the Eiger when she wrote The Living Mountain. But there are other threats. As stories about adventure lose some of their appeal for the general public, along comes the web, with blogs and Twitter and Facebook. Once, if you wanted to read about outdoor pursuits, you had to pick up a book or magazine; now the options are limitless. 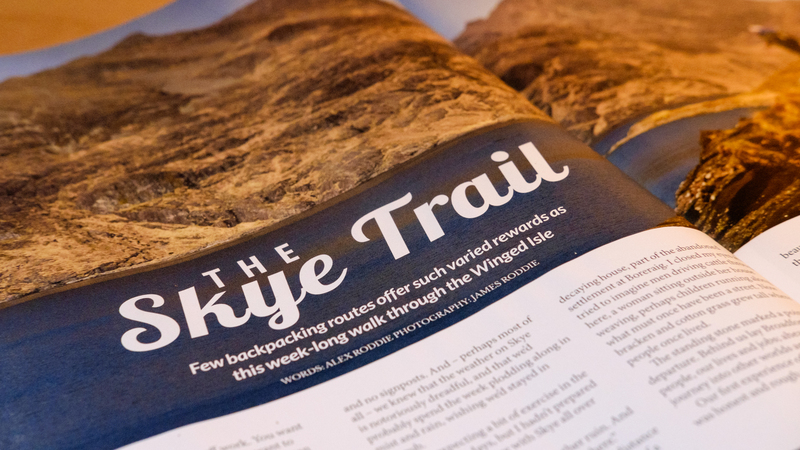 Hillwalking enthusiasts are as likely to get their fix by browsing Facebook groups as they are by picking up the latest copy of Trail. Don’t mistake my point here – I think this is an almost entirely good thing. If you want to share your experiences with others, there’s nothing stopping you from doing so. People who would previously never have been published – because their activities wouldn’t have been considered notable, or their writing skills aren’t polished enough – now have a voice. The downside to this great democratisation of outdoor and adventure writing is that formal channels are fighting an uphill battle. I’m including web publishers here too – anywhere content is subject to an editorial process – but the pinch is being felt most of all in print. Evidence doesn’t support the hypothesis that print is dying out, but times are tough for top-quality long-form content. There’s so much great material out there on blogs, but finding the good stuff can be a lottery – again, because anyone can publish. 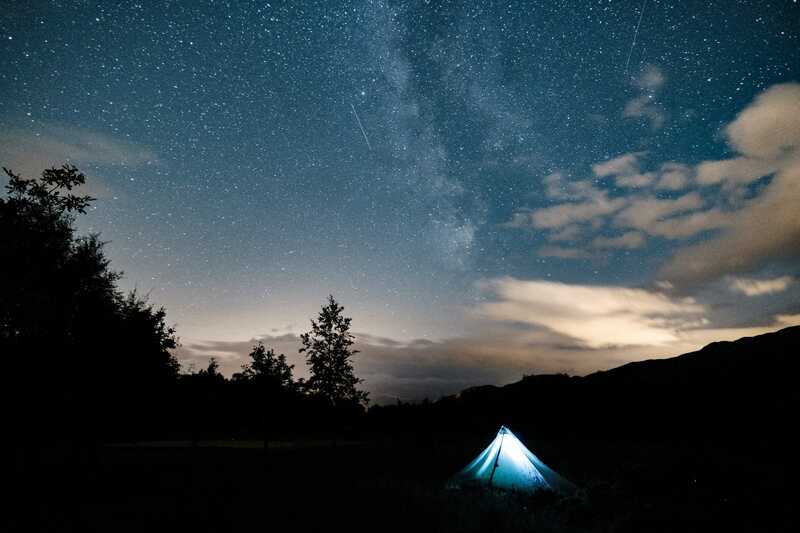 From the writer’s point of view this is fantastic; from the perspective of a reader looking for the best material, finding truly excellent outdoor and adventure writing on the open web can be a challenge1. Web publishers have to chase engagement because advertising pays the bills, and that means lightweight, Buzzfeedy content such as listicles. I’ve written countless listicles myself so I make no apologies here. But those who enjoy reading about the outdoors are looking for something a bit more meaty2. Book and magazine publishers have long maintained high quality standards3 and have championed the most important stories. Expert eyes, a professional editorial process, and – more often than not – rejecting far more pitches than they accept all help to filter out the best stories, then polish them until they gleam. All writing can be improved by editing, but it’s unusual to find as rigorous a process elsewhere. Web publishers often have a lower budget and minimal editorial process. Even the very best blogs rarely have the budget to attract the kind of stories you’ll find in the UK’s top outdoor magazines. Things are slowly changing; many web publishers are producing excellent material now4, but the print magazines still have the edge, despite immense commercial pressures. All outdoor writing is fighting against a proliferation of entertainment options. Some people believe that hillwalking itself is become a middle-aged pursuit, under threat of extinction from a barrage of indoor activities that have been engineered to capture and hold your attention. The evils of computer games have been greatly exaggerated, but I must admit that I’ve spent dozens of hours exploring the world of Skyrim or building stuff in Minecraft over the years. I’m not saying digital entertainment is inherently bad, but it’s a fact that people only have so much time, and that time is increasingly being gobbled up by the new, the shiny, the interactive. In an era when the world is changing at a frightening pace – glacial retreat, deforestation, crazy weather, extinction – it’s more vital than ever before that stories of exploration and adventure continue to be written and read, and that those stories are as good as they can possibly be. At its best, outdoor literature is aspirational; it makes the reader want to go off and have their own adventure. 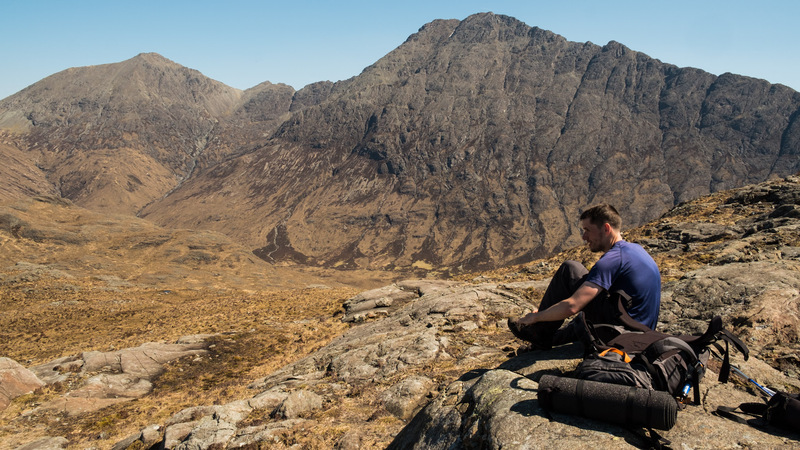 I’ve heard from readers who have hiked the Cape Wrath Trail, Skye Trail, Alder Trail and others after reading my features. We must nurture that impulse. Those who climb mountains, sail the oceans, cross ice caps and backpack across continents are often passionate defenders of the natural world. Even those without the power to effect real change can help spread their message to others, keep the spark of ambition alive and remind people that nature is glorious. If we stop pushing ourselves in nature – the analogue, offline place where we actually belong – then fewer people will go outdoors, fewer people will look up at the sky, fewer people will care. And that will impoverish us all. I don’t believe there’s an imminent risk of humanity losing interest in the outdoors and never leaving cyberspace again, but we’re still in the early stages of our hyper-networked revolution. Some believe the golden age of virtual and augmented reality is just around the corner. Will this bring more people into the hills, bring the stories of the outdoors to more of us, or will it make us spend that much more time indoors? We all know the answer to that question. So tell your stories of adventure, and support the publications that champion these voices. Keep the enthusiasm burning for mountains, oceans, forests, wilderness, and the ambitious things human beings do there.